Your future holds more than you know. The key to unlocking this is the courage to leap combined with the understanding of what will happen when you do. Trusting your ability to recreate life and love, learning to move past grief (and understand its wisdom), while being gentle with yourself around any challenging relationships are all part of the process when embracing a magical new future. One of the things that many of us are afraid to believe (and this is part of the societal programming) is that things can be far better than we know or realise in the future, when we learn to surrender and let love in. This recording will help you let in the light and energy flow of your future, and allow you to enjoy your ability to both connect to life, and open to a deeper experience of joy on a daily basis. 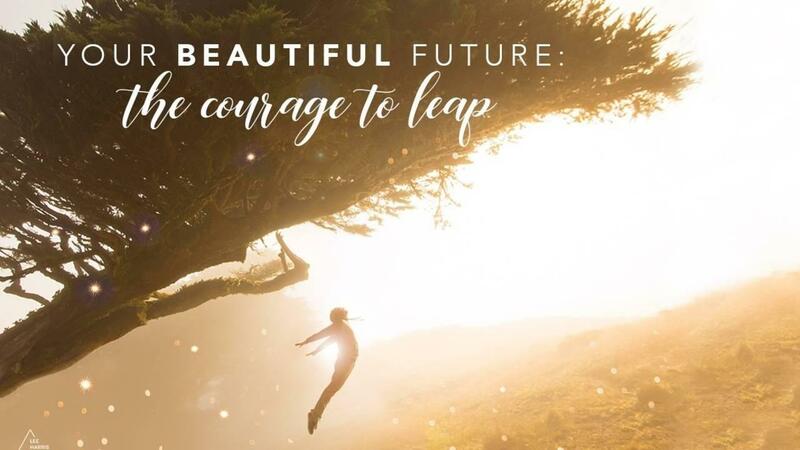 Featuring the music of Lee, Narada Wise and Lana Sugarman, recorded at Omega Institute in August 2018, this message and meditation is an energetic invocation to discover the courage to leap for yourself and accept it is perfect timing; whether two days, two months or two years from now. Being a connection leader in relationships and re-creating love.